← This is a solution? Another One Bites the Dust—Hooray! Sometimes it takes an injustice to point out another injustice. 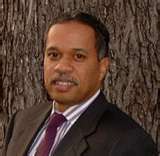 The Right is howling about the lack of due process or censorship of Juan Williams’ free speech rights after he was fired from NPR for his incendiary remarks on FoxNews’ Bill O’Reilly show. Once again, they are claiming some type of victim status for Williams who was awarded THE VERY NEXT DAY with a $2 million FoxNews contract to continue spewing his venom, albeit free speech venom, for all those on the Right who love fear but hate their fellow citizens or mankind. Now for a more elaborate and appropriate response, I suggest checking Glen Greenwald here. 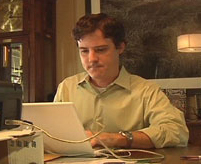 Oh and before I go, does anyone from the Right recognize this face? Those of you interested in “free speech” should ask Rep. Louie Gohmert (R-TX) who the man pictured above is and then let’s talk about the First amendment.